This weekend, pick up some War Avatar items in the Boutique and earn bonus items as you spend Gold! 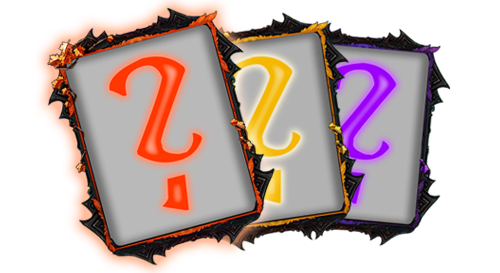 Pick up these card type specific packs for 5 Gold each, this weekend only. Don’t miss out on this great chance to find that one card! Contains a random Destroyer type card of any rank. Contains a random Lifeprime type card of any rank. Contains a random Soulprime type card of any rank. Contains a random Durability type card of any rank. Contains a random Longevity type card of any rank. Contains a random Battle type card of any rank. Don’t forget to also pick up these War Avatar essentials at a discount! Used to craft War Avatar Chests at the War Avatar Master in Kirin Town in Primal World. You can also exchange these with him to increase your War Avatar Leadership. Used to craft type-specific War Avatar Packs at the War Avatar Master in Kirin Town in Primal World. Earn a bonus War Avatar Pack S for every 5 Gold you spend in the Boutique during this promotion! Earn a War Avatar Chest: S if you spend a total of 100 Gold or more! War Avatar Chest: S is redeemable only once per character. War Avatar Pack S can be redeemed an unlimited number of times per character. War Avatar Chest: S is redeemable only up to one time per character.